Obesity is a major problem facing doctors in the 21st century. 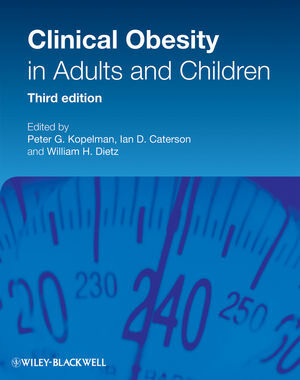 This third edition of a highly-respected textbook combines the latest in clinical research with a practical approach to guide the successful evaluation, management and treatment of the obese patient including the large number of complications and other conditions that can arise as a consequence of it. Written by experts from around the globe, this book is a truly international work recognizing that the approach for the treatment and management of obesity may vary between differing ethnicities and in different countries. The book addresses obesity and its social and cultural aspects, biology, associated diseases, life stages (pediatric and adult), management, and environmental policy approaches in six sections. As well as covering the latest approaches to treatment of obesity, Clinical Obesity in Adults and Children considers the effects of the environment, of gender and of culture on this problem. This is an invaluable resource for all health care professionals, research scientists and public health practitioners involved in the prevention and care of patients who are at risk of obesity or are already obese.